I wanted to let you know about a website, eating plan, and support group that is AMAZING! Julie and Jerry Christensen have created Protective Diet (PD) (protectivediet.com). This low fat plant based program has helped me to shed the most difficult to lose last pounds. 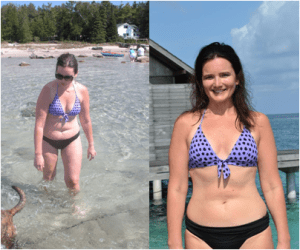 I lost 25 pounds easily in 5 months before my wedding.